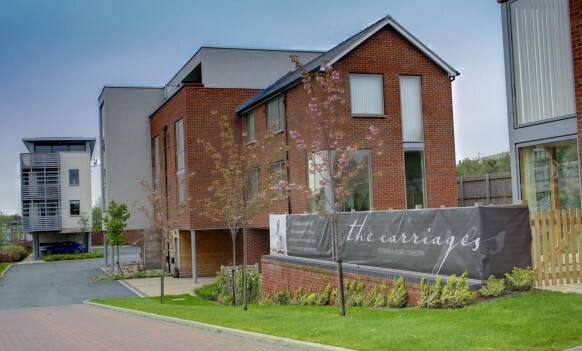 The stylish residential development was created specifically for the Town Centre on a brownfield site, situated on Gobowen Road, Oswestry, comprising of 20 town houses, 11 apartments and 64 car parking spaces. J-Ross Developments Ltd successfully devised this residential development through acquiring the land and buildings on this brownfield site. After demolishing and clearing the existing buildings, a full Geo-technical and environmental survey was carried out, which quickly indicated that remediation works were necessary due to the low levels of soil contamination. A Bio-remediation of contaminated areas and remediation report was successfully completed. Detailed pre-application discussions were held with planning officers prior to the submission of the planning application. J-Ross Developments also effectively resolved the highways access issues and the formation of an internal home zone roadway. The project resulted in 31 high quality residential units being created within a carefully landscaped area with the added feature of incorporating a secure residential car park.